English Heritage have published a helpful booklet on all aspects of renovation for places of worship. 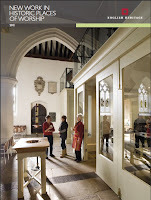 It contains advice on heating systems and how to approach major alterations to church buildings. You can read it here.